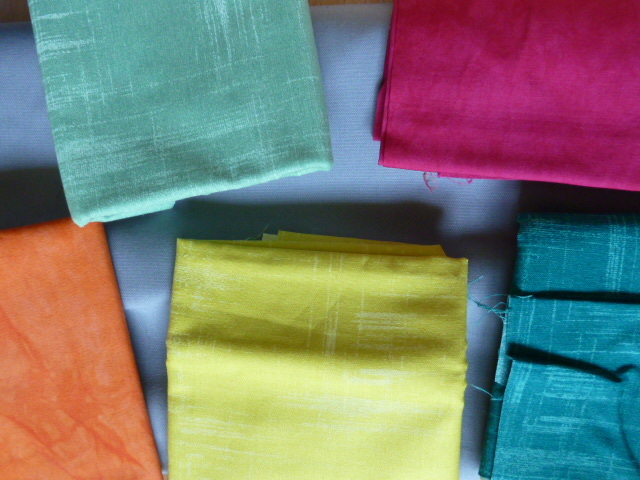 Once I had put the Press ‘n’ Seal onto the top fabric I chose my other fabrics. The grey underneath will be the top fabric and the others will be the ones that peep through. My next step was to place it on top of my light box and slide the fabric I planned to use for the centre underneath it. 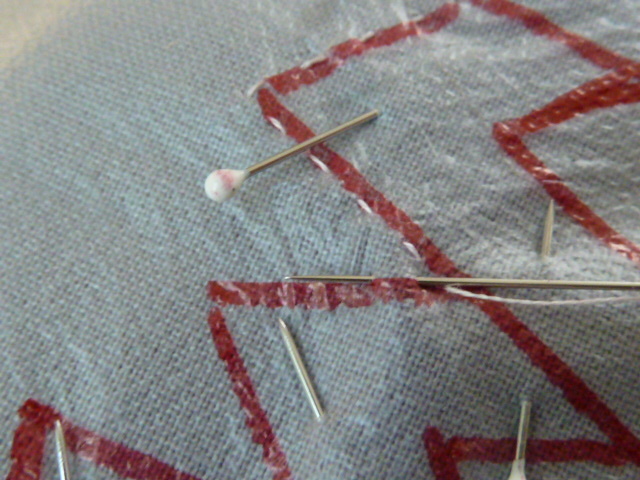 Then I pinned, using my small appliqué pins, around the central design and through all three layers. Then I flipped it over and clipped the fabric around the pinned area. 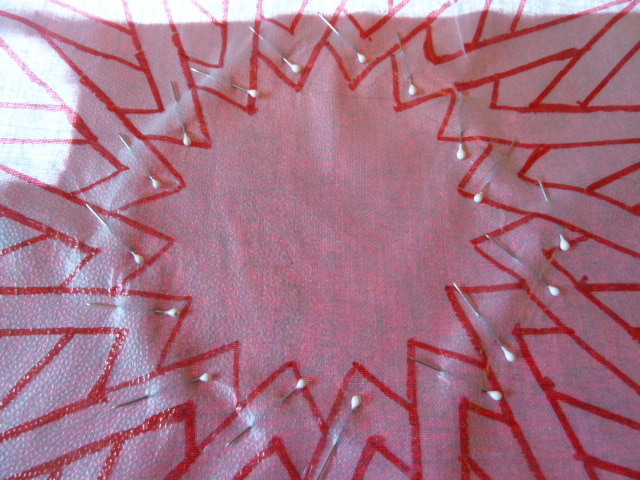 After that I used some YLI Basting Thread (thanks Sylvia) and sewed small running stitches along the red lines. Once basted I clipped around the basted lines to within 1/4″ and then moved on to the next piece. Here’s a picture of the back of the project with what I’ve basted so far. 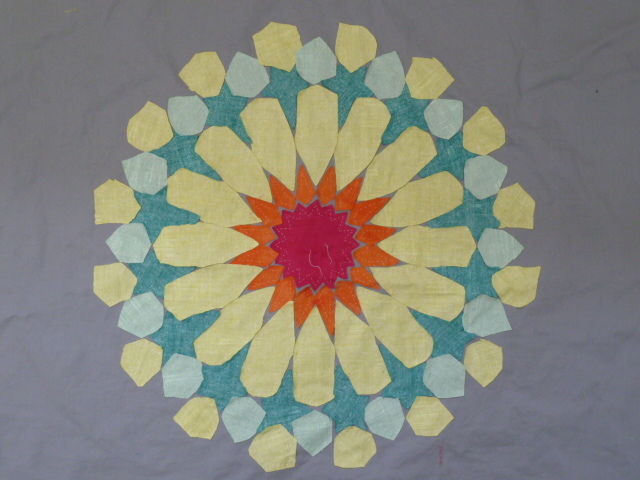 I have entered my Andalusian Tile Quilt in the Aurifil FaceBook competition. Can I ask you to pleas go and have a look and if you like it, to please vote for it? Thanks so much. The link is here. Good grief! I’m amazed at how much you’ve done and it’s really beautiful. Congratulations, I’ve also voted. It is so fascinating how you do that. Is it a standard technique, or something you created? You know Linda I think it must be a standard technique because I’m sure I got the Press ‘n’ Seal because Crispy mentioned it one of her online applique classes. I just checked the internet to see if others do it too. 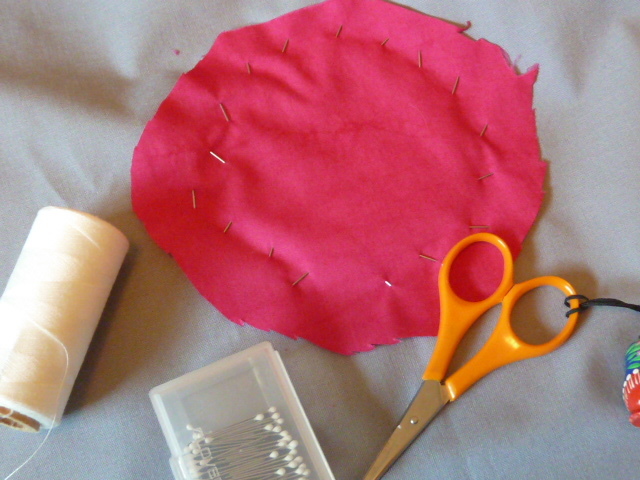 It is used for transferring quilting pattern but this lady uses it the way I do too and has a tutorial. Thanks again for the tutorial. AND I voted. It’s a LOVELY lovely quilt. would love to vote for you….but having a difficult time finding your entry ….. help??? I went & voted, the link works perfectly. Thank you to everyone who went and voted. Thanks for leaving me a suggestion on the backing to my banner. I ended up piecing one but doing it by hand is so time-consuming. It is now basted and almost ready to go.